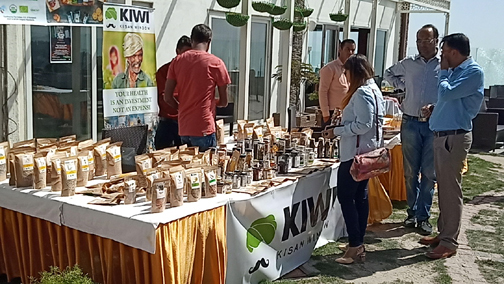 Mussoorie, 14 Apr: The first edition of the Mussoorie Farmers’ Market began at a local hotel to promote local eco-friendly products for personal and household use. A Green Life Exhibition was also organised in which stalls of vegetables, pulses, spices, beverages, garden produce, local crafts, handmade and natural products were showcased. 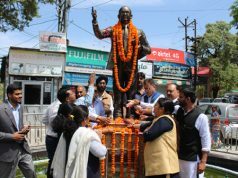 The host of the programme, Rajat Kapoor, said that in the two-day farmers’ market, agriculturists from nearby areas of Mussoorie and agricultural organisations will showcase their products and crafts. It would serve as a platform for famers to promote their products in the market and also among the tourists so that it could be sold at a good price. On the occasion, Uttarakhandi cuisine is also being served. 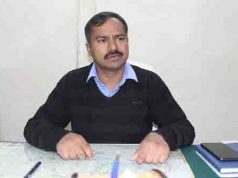 He said that they intended to make this a regular calendar event in Mussoorie. Arun Dabral, the coordinator of the farmers’ market, said it would help farmers increase their income by selling their products at good rates. It provided an opportunity for farmers and tourists to interact more about products in a better way thus proving beneficial to both.